The Faculty of Science and its alumni association Science@Leuven are proud to announce the Science@Leuven Scholarships registration for 2019-2020 is now open till the 15th of February, 2019. 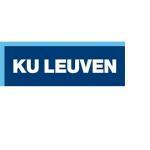 These Scholarships are for motivated and talented international students who are interested in participating in an international master program of the Faculty of Science of the K.U.Leuven. The amount of the scholarship can be up to 10.000 Euro for one year. The scholarship will always cover the tuition fee for one year, the insurance and a basic health insurance coverage. The amount awarded for living expenses can vary. For two-year Master’s programs, the scholarship for the second master year will be only be continued on the condition that the student had outstanding results the first master year. The applicants have not studied or worked at the University of Leuven before. The applicants have a bachelor degree from a foreign university that gives them access to the master program they are applying for. The applicants have not yet acquired a master degree or a PhD. The applicants can prove having had excellent study results during their former training. The applicants display a very strong knowledge of English. The applicants show strong motivation to follow a master program at the Faculty of Science of the K.U.Leuven. The applicants are willing to act as ambassadors for the program.